Hi Friends! 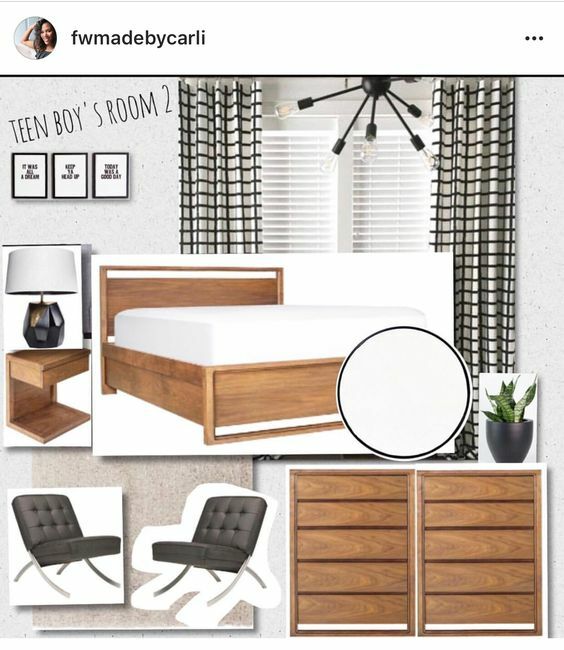 I’m tackling my teen boy's room! And now that I think of it, I'm not sure why I didn't sign up for the One Room Challenge, because this space sure is challenging! 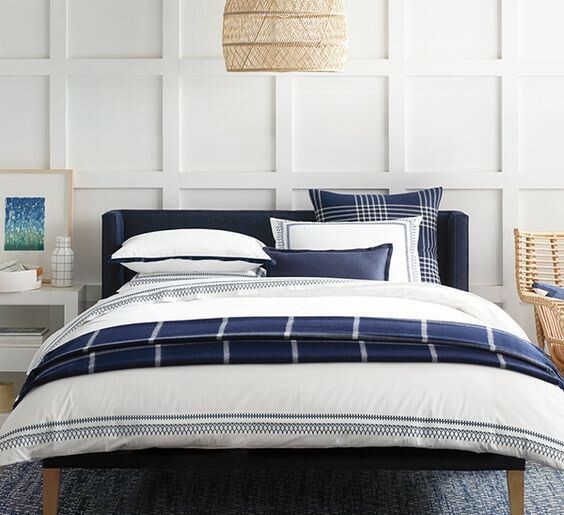 Our son just turned 17 in October and for his birthday we decided to partner with my good friends over at Raymour and Flanigan to give him the icool, relaxed teen bedroom that he deserves. 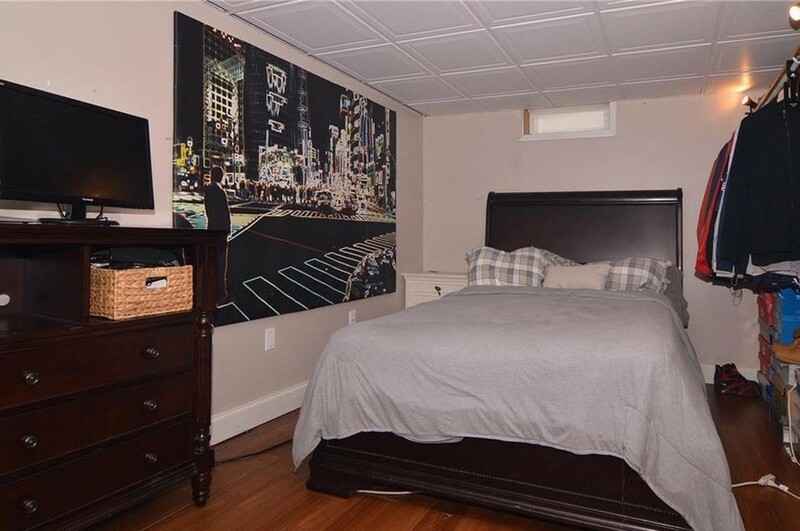 Jyren has the largest bedroom in the house but the downfall is it’s in the basement, which comes with typical basement challenges such as low drop ceilings, a teeny tiny window with very little natural light. Although his room is the largest in the house, it is a long rectangle measuring at 10'x17’, which presents its own set of challenges. He has no in room closet, so lots of drawer space is a must. His furnishings are all hand me downs from the rest of the house-you may recognize the bed and dressers from my old master bedroom. 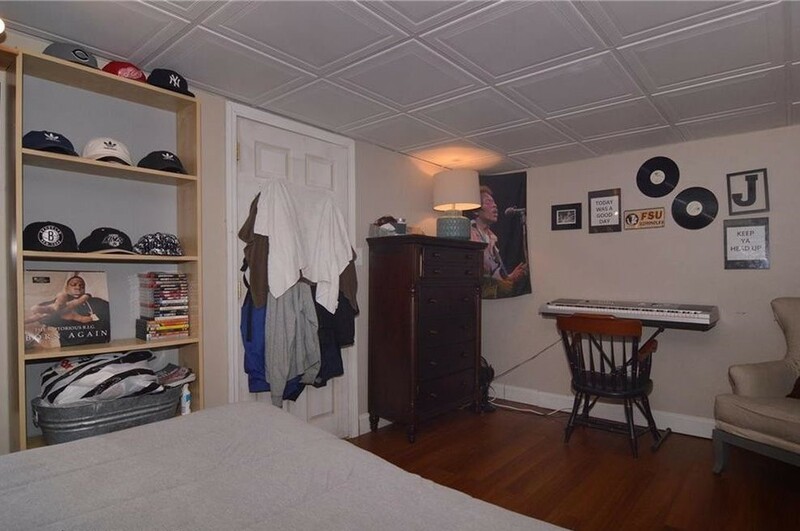 To be honest, I was going to point out all of the things wrong with this room, but I think it's all pretty evident in these pics. 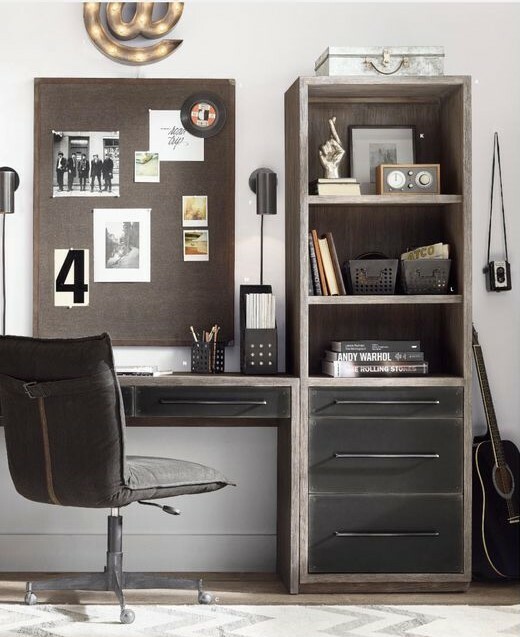 My inspiration for his bedroom makeover have elements that aren’t much different from the rest of our home---warm wood tones, a bit mid-mod, black and white contrast, and touches of brass. 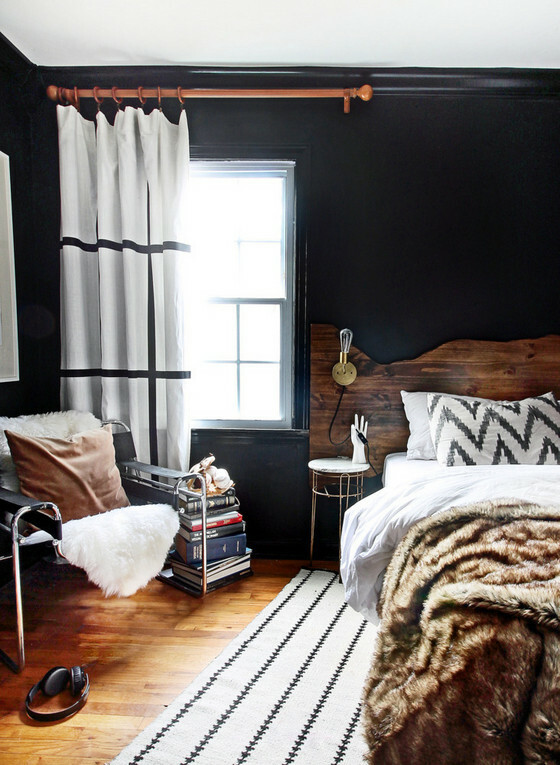 While searching for inspo, I had hard time finding bedroom decor that is suitable for an older teen. Most were for younger teens, with sports themes, etc . . . which just weren’t in line with my boy’s interests. Jyren loves two things: Sneakers and Music-oh and food, he loves food, haha! I hadn’t originally planned on a desk area for his room, since I’ve been working on the homework station in the basement family room, however, in thinking of how Jyren currently uses his space, writing and recording songs, I realized that he really enjoys having his own personal area, which allows him to play his music as loud as he wants. I hope you’ll check back and follow along with my progress of this space!